In the morning your guide will meet you at your hotel in Dar es Salaam and as soon as your luggage has been loaded into the vehicle you will set off. After approximately 5 hours’ driving on good tar roads, you will reach the Mikumi National Park. You will experience your first game drive on your way to the Stanley’s Kopje Tented Camp. The camp is built on a rocky hill overlooking the plains and will be your home for the first night. After checking in at the camp, you will go on a late afternoon game drive in the park. The grassy plains are dotted with clumps of acacias and baobabs. 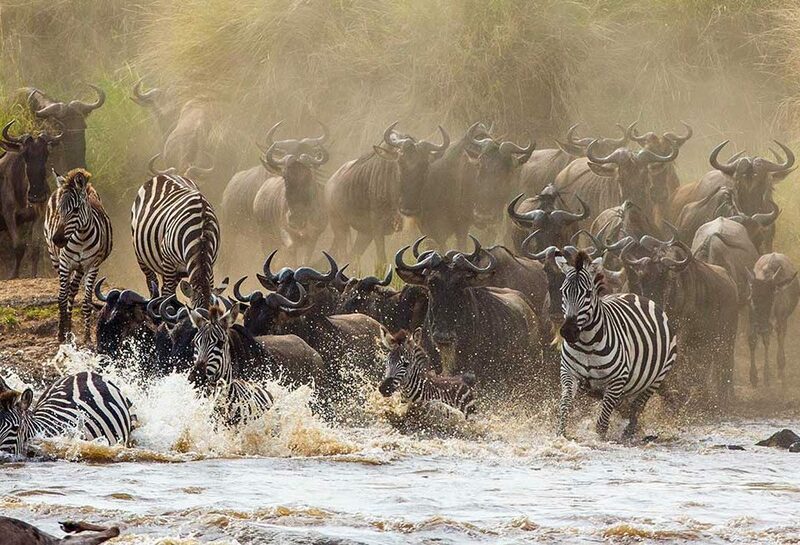 Here you can see elephants, zebras, kudus, black antelopes, baboons, wildebeests and buffaloes. Furthermore Mikumi is one of the best places to see the largest antelope on earth, the eland. The entire day is dedicated to game viewing in the Mikumi National Park. The park is intersected by the Tanzam highway dividing the park in two sections. The northwest is flat with grassy plains while the south is more bushy and undulating. Today you might see kudus, sable antelopes and some of the 400 bird species of the park. After a full day in the bush, you will return to Stanley’s Kopje Tented Camp in the evening where you can relax at the bar while overlooking the plains below. Today you will go hiking in the Udzungwa Mountains National Park, one of 34 “World Biodiversity Hotspots”. Leaving after an early breakfast you will meet your guide at the national park entrance gate. The park can only be explored on foot and from the gate you will set off on a hike through the rainforest. The lush green mountains are home to 30 m high trees, reptiles, 400 bird species, butterflies and other animals. Twelve species of primates such as the Udzungwa red colobus or the Sanje mangabey – one of the most endangered primates in Africa – live here. A highlight of the walk is the 150 m meter high Sanje waterfall where you can swim. In the evening, you will return to Stanley’s Kopje Tented Camp. After breakfast you will depart from Stanley’s Kopje Tented Camp and drive southwest towards Iringa. On the way you will pass the scenic valley of the Great Ruaha River where majestic baobabs trees grow. At Kisolanza Farm, your overnight stop 40 km south of Iringa, the family Ghaui has grown vegetables, flowers and tobacco for more than 50 years. After your arrival in the afternoon, you have time to explore the farm and the surrounding area. You will enjoy the fresh farm products at dinner and overnight in the rustic cottages on the farm. You will start the day early for the drive to the Ruaha National Park. Then we continue through small villages before you arrive at the Tandala Tented Camp – your overnight stay for the next two nights. 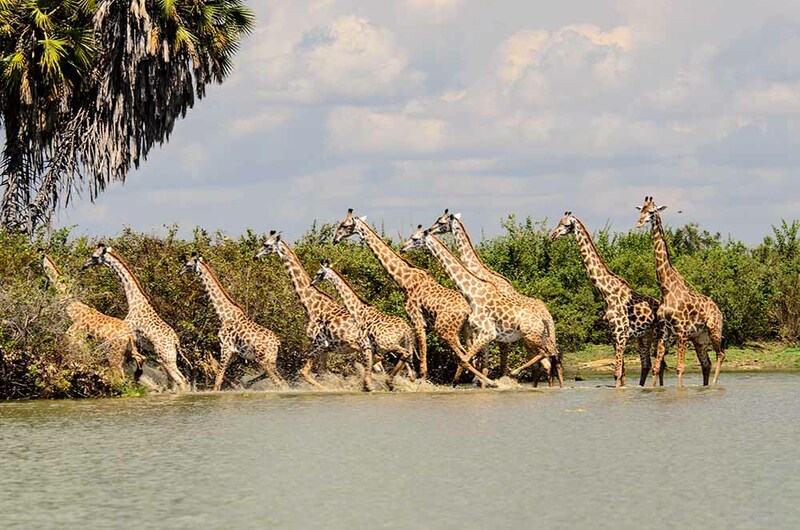 After checking in, you will go on a game drive in the Ruaha National Park. The park is famous for its rugged beauty, kudus, over 570 bird species and elephants – about 10,000. You might also see buffaloes, lions, leopards, cheetahs, rare wild dogs, sable antelopes, giraffes, zebras, warthogs and the huge roan antelope. You will return to the Tandala Tented Camp on the outskirts of the park in time for dinner. Today you will have time for some more game viewing in the Ruaha National Park. Ruaha is the largest park in Tanzania, so chances are good that you won’t see many other vehicles. The park forms a border between Africa’s eastern and southern eco-system and here you will find kudus, which you won’t see further north as well as Grant’s gazelle – the furthest south in its habitat. 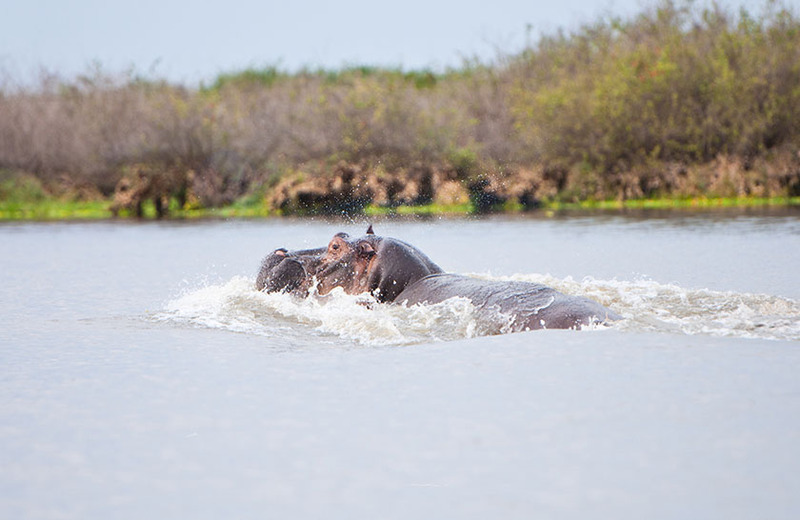 The life source of the park is the Great Ruaha River with huge numbers of crocodiles and hippos. During the dry season animals gather around the water sources of the park, while the wet season is better for bird watching and flowers. After a long safari day, you will return to the Tandala Tented Camp in the evening. After a hearty breakfast, your guide will take you on a last game drive in the Ruaha National Park. In the late morning, he will drop you off at the Ruaha airstrip inside the park and you will fly to the Selous Game Reserve – a UNESCO World Heritage Site. After you have landed at the small airstrip, you will be picked up by a driver of the Rufiji River Camp, who will take you to the camp. Hot lunch will be served at the camp. 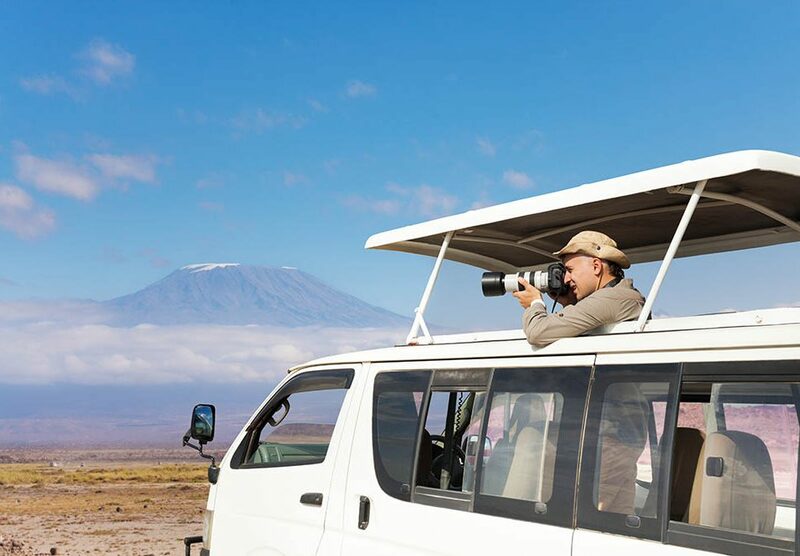 In the afternoon, you will join a scheduled safari activity and return to the camp in time for dinner. You spend the night at the Rufiji River Camp. 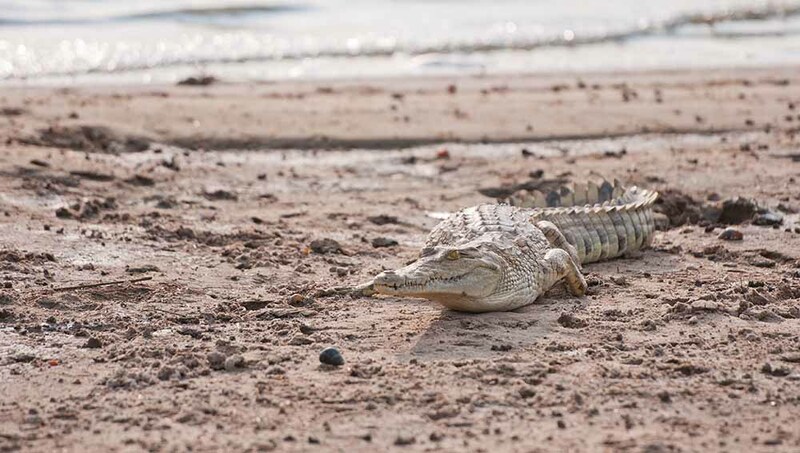 Selous is rugged and remote and far from the crowds. 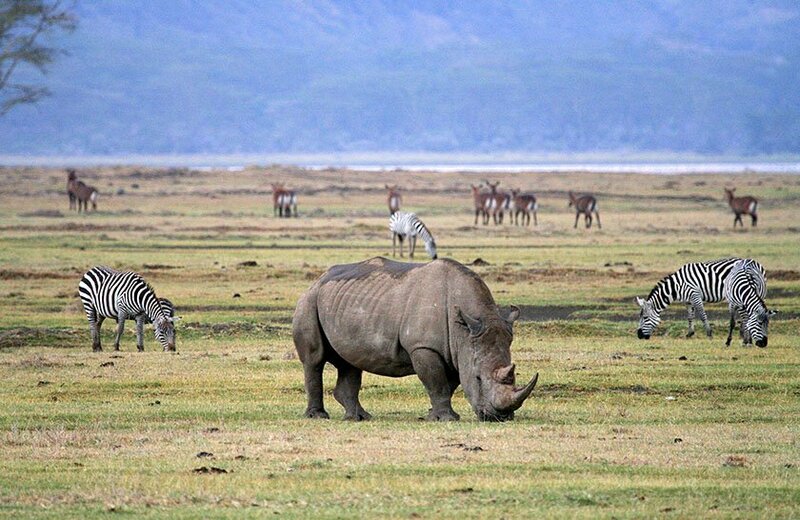 It is the largest wildlife conservation area in Africa and with the neighbouring Mikumi and Udzungwa National Park forms an area as big as Switzerland. 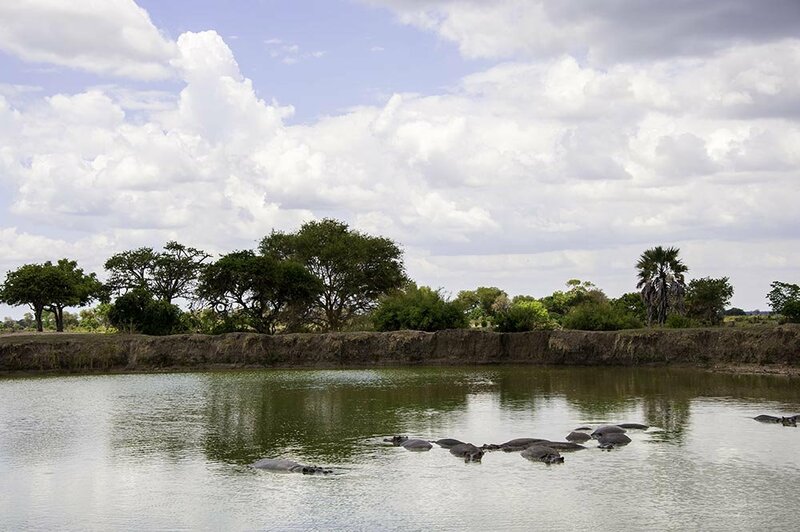 The variety of habitats including Miombo woodlands, grasslands, forests and swamps are home to a selection of wildlife such as elephants, black rhinos, cheetahs, giraffes, hippos and crocodiles. The swamps and lagoons along the Rufiji River attract animals for bathing and drinking and are perfect for avid bird watchers as there are more than 350 bird species in the reserve. 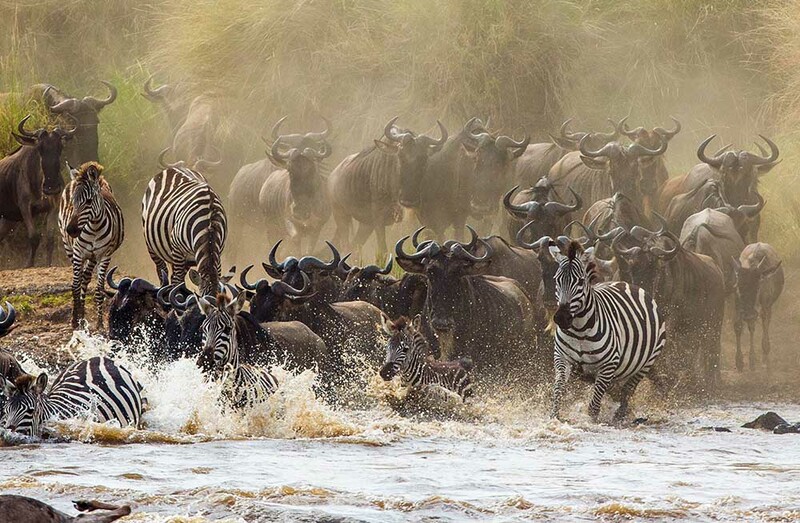 You will explore this unspoiled wilderness by safari vehicle, boat and on foot.